Lanterns can be crafted or purchased, depending on which one you would like to have. 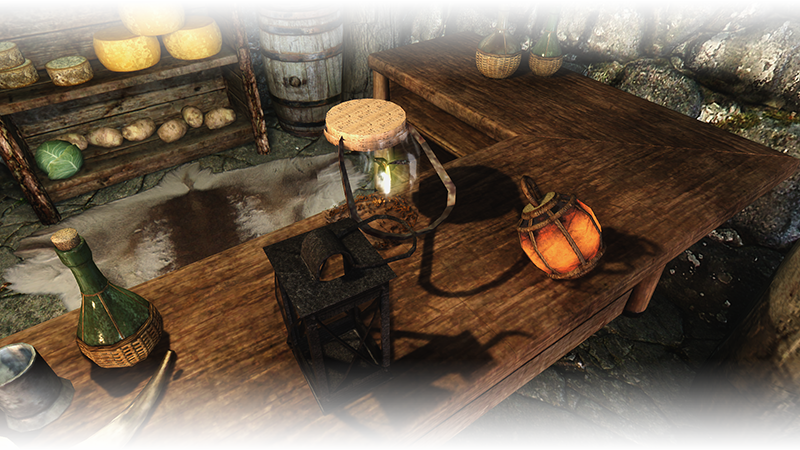 Travel Lanterns: Can be purchased at most general goods merchants, or crafted at a forge. Paper Lanterns: Can be crafted at a forge. Requires that Dragonborn be installed. Torchbug Lanterns: Purchase an empty Bug Lantern from most general goods merchants. Equip it and catch a torchbug by selecting it. You will catch the bug and place it in your jar. Captured torchbugs can be released by entering Sneak mode, and dropping a Torchbug Lantern. If you have Campfire installed, you can craft Travel and Paper Lanterns using Survival Skill: Create Item. By default, lanterns are worn on your belt, on your back-right side. Just equip the lantern and it will light up. In the MCM, you can select between Back Right, Front Right, or Held positions. Lanterns use equipment slot 55 by default. You can use the MCM to select which equipment slot worn lanterns should use. Held lanterns still use an equipment slot when equipped. You can also use the MCM to configure the brightness of your lantern. Give one of your lanterns to a follower, and they will begin using it. 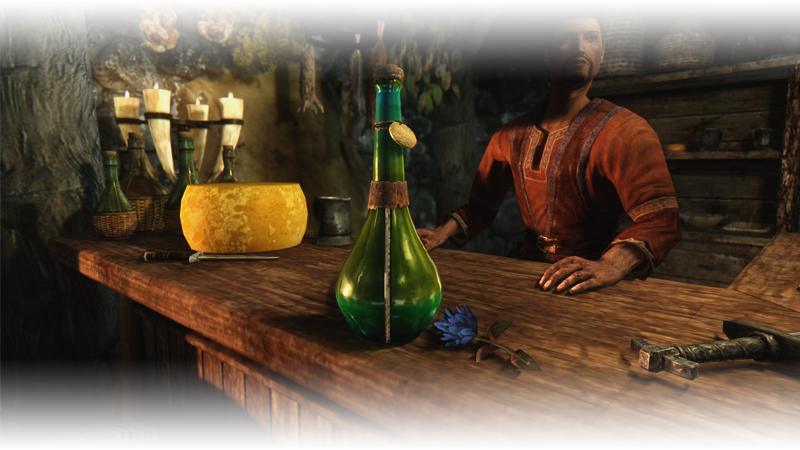 To change which position your follower wears their lantern, talk to them and select “About your lantern…” from the dialogue options. Your follower will always remember where you asked them to wear it. Your followers will turn their lanterns on at night time, and inside hostile interiors like caves and dungeons. They will turn their lanterns off during the day time, when sneaking, and when inside friendly interiors (like houses and inns). If you give a follower a lantern, it is recommended that you take away their torches, or they may try to use both. If using Extensible Follower Framework, make sure to use the “Equipment” option to trade the lantern, and not the “Inventory” option, or they will not equip it. If you have Oil Lanterns Require Oil or Bug Lanterns Require Flowers enabled, your lantern requires fuel in order to work. These features are optional. Lantern Oil can be purchased from any general goods merchant relatively inexpensively. You will replenish your lantern’s oil automatically when it runs out. One bottle of lantern oil will fill up your lantern. Flowers found throughout Skyrim, such as mountain flowers and thistle, can be used to feed your torchbug with their pollen. Just pick up the flowers and you will place them in your bug lantern automatically. It takes about 4 flowers to fill up your lantern. In general, lanterns burn for about twice as long as a torch on a single bottle of lantern oil or on 4 flowers. To check your fuel, use the Check Fuel hotkey, or enable the “Check Fuel on Toggle” option and turn your lantern on using a held control or hotkey. If Campfire is installed, lantern oil can also be used as a very effective tinder to help start your campfire. Use the MCM to configure hotkeys for your lantern. You can create a keyboard-only hotkey for Toggle Lantern and Check Fuel. You can assign these to any key that isn’t already being used by the Skyrim base game. Enable Hold Control to Toggle to allow you to hold a control down to toggle your lantern, instead of binding the action to a particular key. You can select between the Use, Sprint, and Ready Weapon controls. Using this feels similar to enabling the Pip-Boy light in Fallout. This method supports gamepads for toggling your lantern. If you have a fuel mechanic enabled, a meter and messages will display on-screen at appropriate times to display your remaining fuel. On the Meters MCM page, you can select “Always On”, “Contextual”, or “Off” display modes. Contextual is the recommended setting and will display your meter when your fuel reaches 50%, 10%, and when it becomes empty. You can select between one of 4 Layout Presets, which will place your fuel meters in a corner of your screen. The system supports 16:9, 16:10, and 4:3 display aspect ratios. For advanced users, you can configure your meters to display anywhere on the screen that you like, even if your aspect ratio isn’t supported. Enable the Advanced Settings for the Oil or Pollen Meter to configure a multitude of settings. 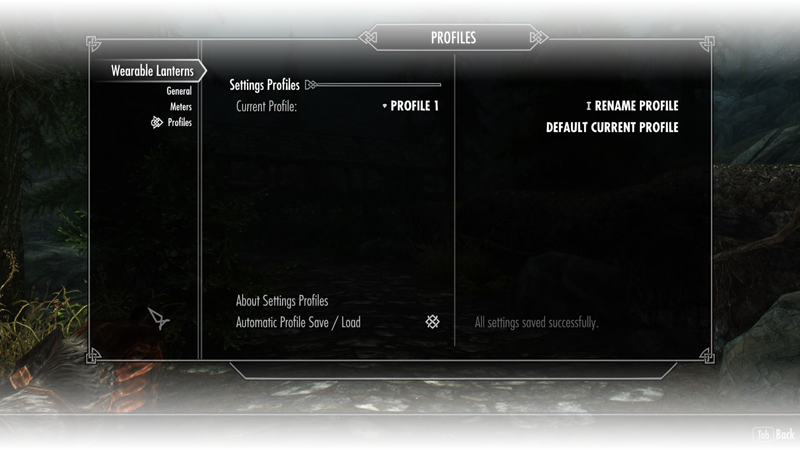 Settings Profiles are a feature in many of my mods. All of your configuration settings for Wearable Lanterns are now saved in Settings Profiles. These are saved to a file and persist across saves, loads, characters, and new games. You can configure your settings once, and use them everywhere, and your settings are loaded for you automatically when you start a game. 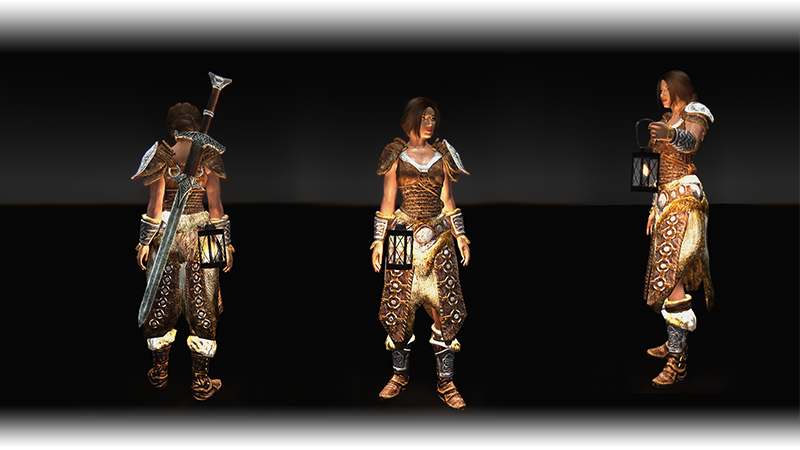 Wearable Lanterns has 10 Settings Profile slots you can choose from. If you are a Mod Organizer user, your Settings Profile files are saved to your overwrite directory (overwrite/SKSE/WearableLanternsData). Mod Organizer will report this as an error. You may safely ignore this. If you delete or misplace the Settings Profile files, all of your settings will revert back to their default values when you load your game again. Mode: Select between “Manual” or “Automatic”. If you use “Manual”, the lantern is always on when worn. You can use your hotkey to toggle the lantern on and off. If you select “Automatic”, your lantern will behave like an NPCs. It will turn itself on at night, and off during the day. It will turn itself on inside hostile interiors like caves and dungeons, and off inside of friendly buildings like houses and inns. You can still use your hotkey to turn the lantern on or off. Turn Off When Sneaking: Turns your lantern off when sneaking, if enabled. This works independently of the Mode setting. So, you could enable this, and still use Manual mode the rest of the time. Auto-Drop Lit Lanterns: If you are holding a lantern in your left hand, and you equip a shield or weapon that would occupy your left hand using a hotkey, your lantern will drop to the ground lit. You will re-equip it automatically when you pick it back up. This is very similar to the popular Drop Lit Torches for Oblivion. Check Fuel Display: Choose if you’d like to see meters, messages, or both, when checking your fuel.